Hubby loves jap food. So for his birthday celebration with the family, he decided to try Fukuharu. ** Fukuharu won the Best Japanese Restaurant category of the Time Out KL Food Awards in 2010 ** This was partly the reason why he chooses this restaurant. Fukuharu is located inside Terrace @ Hock Choon. Once you are inside, the restaurant gives off a peaceful vibe. We were shown to our table and immediately placed our orders as we were very hungry. 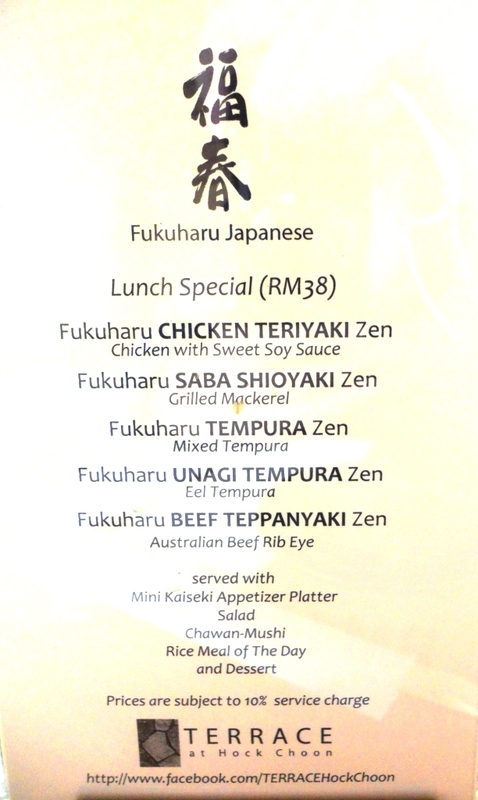 They recommended we try their Fukuharu Zen lunch special which was priced at RM 38++. We were quite attracted to the Zen set. So, we ended up ordering 3 out of the 5 variety they had. (Chicken Teriyaki /Saba Shioyaki and Beef Teppanyaki). 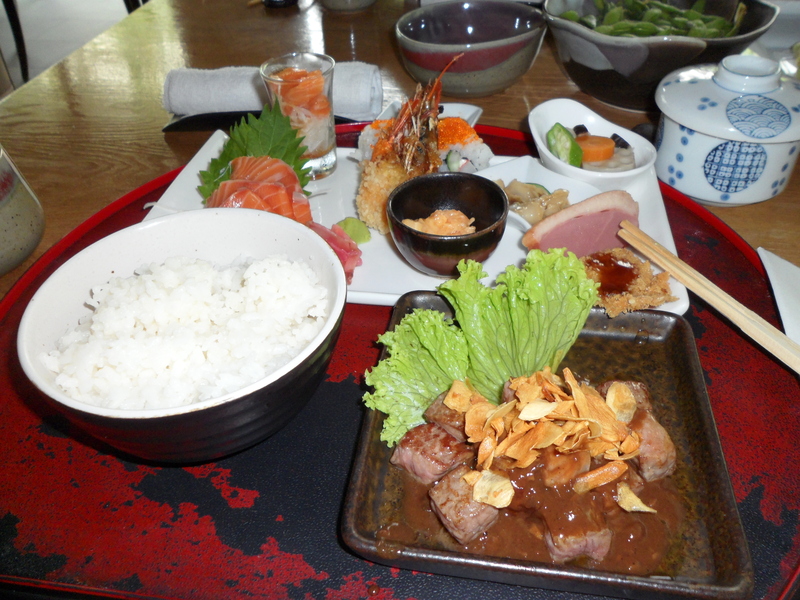 The set comes with a mini kaiseki appetizer platter, Salad, Chawan mushi, rice and dessert. I love the kaiseki they offer. It is nothing spectacular. 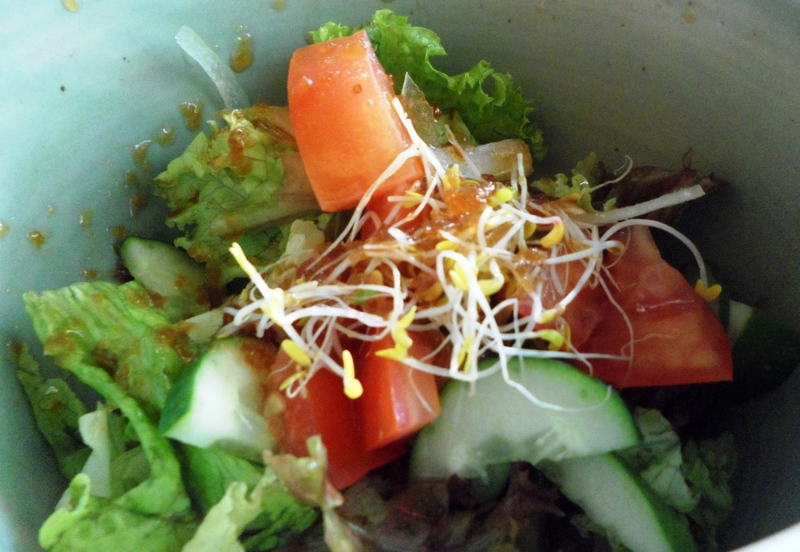 But, each ingredient is fresh and the variety served was more than I had expected. Mom especially loves the slice of smoke duck. The Kaiseki is the same for all the sets. Follow by a salad, Chawan Mushi and then your main set. Personally, I like the beef set the most. Chicken was quite so-so. The Saba set was ok but I feel that the serving was a little on the small side. On top of that, we ordered the Edamame, Mentai Sushi, Erringi Yaki and Avocado Tempura. The Mentai Sushi was basically Tamago sushi (egg) with a layer of grilled creamy mentaiko (fish roe) on top. It was really yummy. 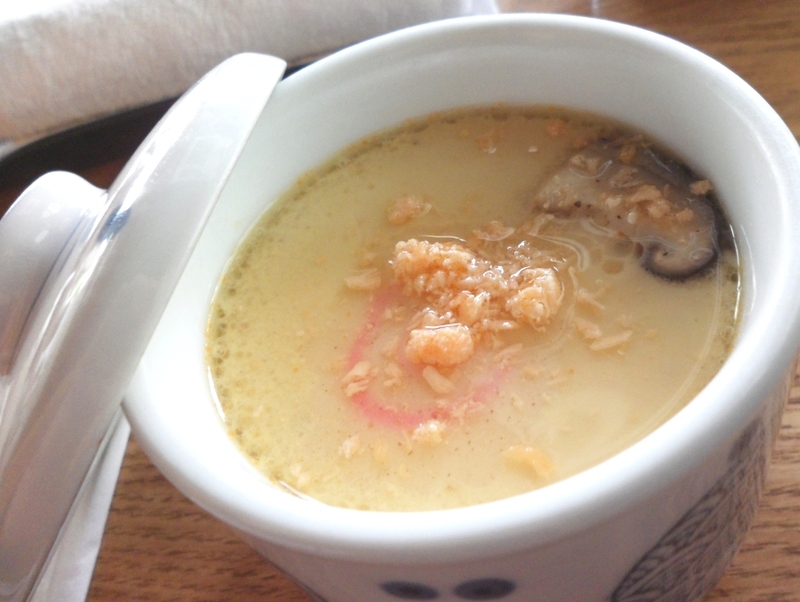 I love the taste of the still warm mentaiko together with the creamy sauce. It was definitely an interesting combination. Next, we had the avocado tempura. It was not really impressive. Unfortunately, I forgotten all about snapping picture by then. So, I can’t show you what the 2 dishes looks like. GOMEN !!! I did however manage to get the Erringi Yaki after hub remind me about it. Hehehe.. This was done really well. I love what they did with the Erringi (a type of mushroom – mom called it chicken drumstick mushroom, hehehee… not sure if she made it up or it’s true). 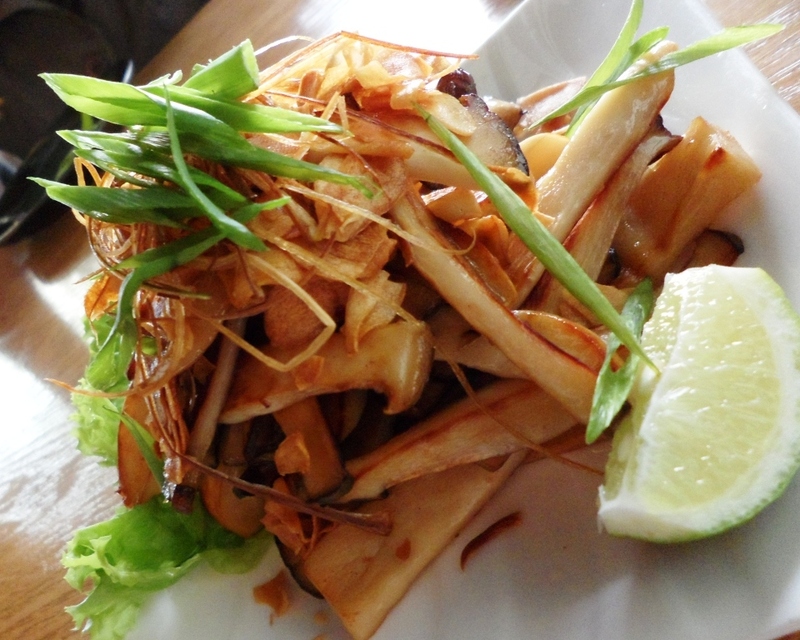 It was sliced in nice ‘chips’ size and grilled lightly with very minimal oil. 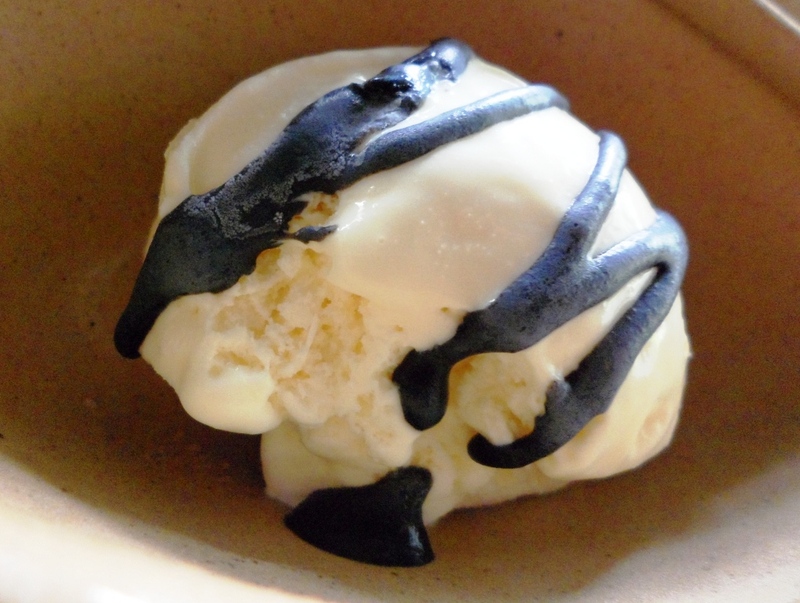 We end the meal with Vanilla ice-cream draped with black sesame sauce. I definitely prefer this to a pure black sesame ice cream. I always find that a bit too over powering. This is just nice; simple and flavorful. Love it when I end a meal with good dessert. 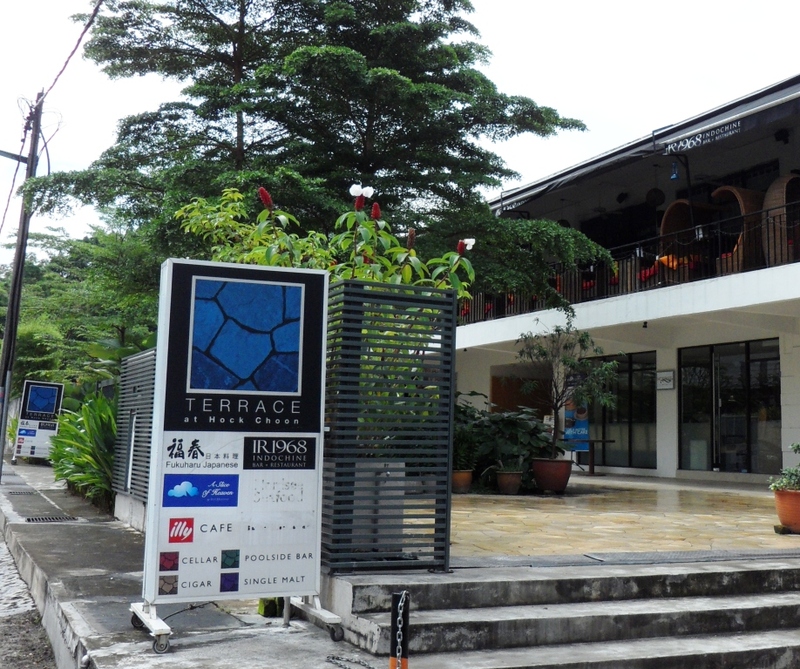 Terrace@Hock Choon, 241-B Lorong Nibong, off Jalan Ampang, KL.